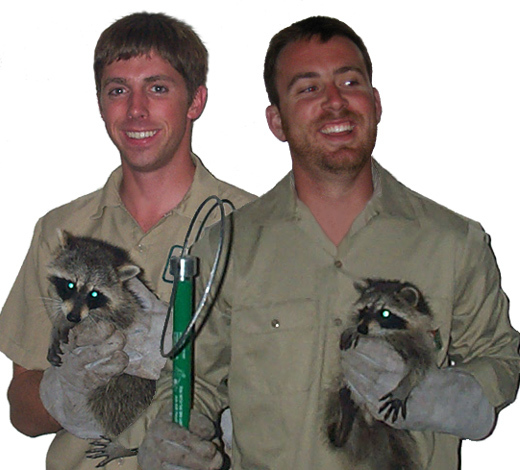 About Us - Information about Our Pulaski County Arkansas wildlife removal experts. Fully licensed by the Arkansas Wildlife Commission. Even though a wild animal but house mouse lives with human in the same house and they generally sleep at the day and start their job at night time. There are many who are bit confused between rat and mouse and think both are same. But actually both are different animal but belong to the same rodent family. With a furry round body, pointed nose, large ears and long hairless tail the house mouse looks very cute. Mice come in various colors and sizes. White, grey and brown are the most common color while their length is between 1-7 inches and weigh around 0.5 To 1 ounce. The life span of mice is 1.5-3 years and 2 years on average while they are matured at the age of 4-8 weeks and this is the time when both male and female mouse become fertile. The female mice have estrous cycle for 4-6 days long and the estrus last for less than 1 day. Female mice can be pregnant again just after 14 to 28 hours after giving birth to the litter that is of very small size (1-24 pups). Once the male mice reach the age of 4 weeks they are separated from the mother to prevent unnecessary breeding. The female mice can be fertile till their death. This creature is found in almost every country and terrain while house mice are very communal and love to live any manmade habitat such as house, firm house, coal mines, any other building and also in the frozen meat stores. But you will not find these animals in the desert or forest. Mice generally eat each and everything they find and in case there is no food available nearby, they can eat each other as well. This animal is omnivorous that is everything plant and meat is their food, but they like to have fruits, grain, cheese, seeds, etc. mainly. Mice are voracious which means they need to eat around 15-20 times per day and this is the reason they love to stay in place that have many food sources nearby. House mice run, walk, swim, climb and jump but while they fight, eat or orient themselves, they raise on the hinged legs with the additional support from tail and this behavior is known as tripoding. Also they love to maintain contacts with the vertical surfaces. But mice hate bright light and they are scared of rats, so kill them if possible. This behavior is known as muricide. There is little natural way to prevent mice infestation and the first natural option we have is to keep cats and owl in and around the house which will work according to the nature. There are few natural repellent which keeps mouse away. To learn more about our services, visit the Little Rock wildlife removal home page.